James Saito (born March 6, 1955) is an American actor of Japanese descent. 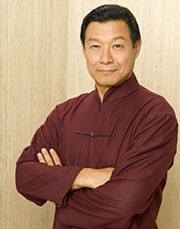 He is mostly known for bit parts and background roles, but also is known as an important character, Dr. Frank Chen, in ABC’s short lived series Eli Stone. He also has a prolific background in theater. Saito was the suit actor for The Shredder in the first TMNT movie; the character was voiced by David McCharen.